An excellent option for educational or laboratory use, the Seiler Video setup projects the image being viewed onto a LCD monitor as a high resolution image. Included is a Trinocular SeilerScope with E Planachromat objectives, High Resolution CCD Camera and a 19" Flat Panel Monitor. 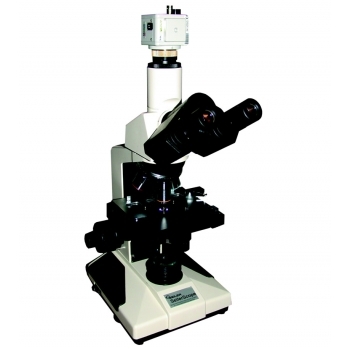 Click the button below to add the Seiler Video Trinocular Microscope to your wish list.